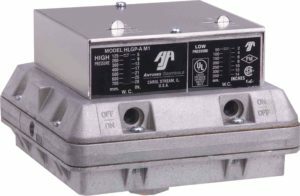 The Model A – Double is a high-low gas pressure switch that monitors pressure and cuts off the electrical control circuit when pressure rises above or drops below the desired set point. The high and low gas pressure settings are adjustable. All models are available in reset or recycle type.